The S&P 500 is currently 1.3% away from its all-time closing high of 2130.82 set on May 21, 2015. 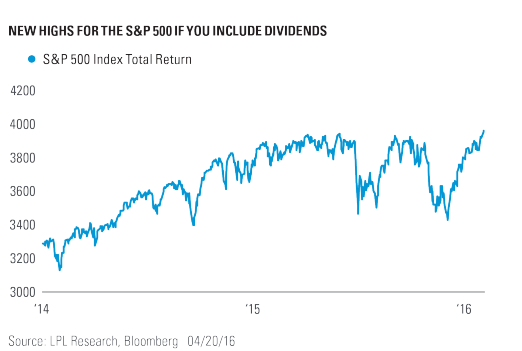 But did you know that the S&P 500 Total Return Index made a new all-time high yesterday? The difference is the total return includes dividends, whereas the S&P 500 is price only. If you think about it, a few percentage points a year reinvested over time can make a big difference in a portfolio. 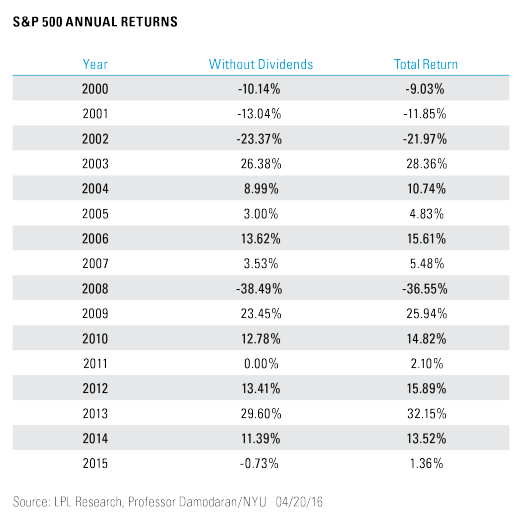 Here is what each year since 2000 has looked like with and without dividends reinvested. What does this mean in the real world? Hypothetically, if $100 was invested in the S&P 500 at the start of 2000, it would be worth $139 as of the end of 2015. 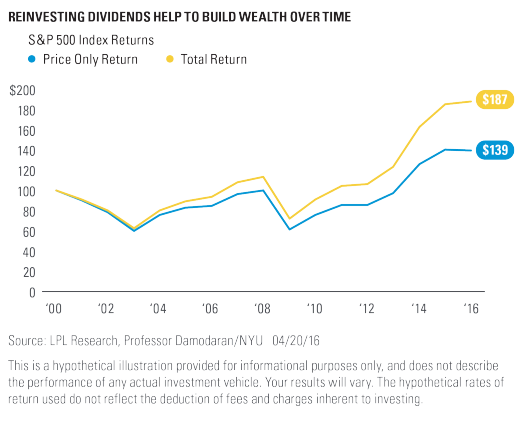 If dividends were reinvested? It goes up to $187, or nearly 35% higher. Dividends are the quiet wealth builder to portfolios over time. A few percent a year might not sound like a lot, but when done over decades, the end result to a portfolio is very significant.